WARNING- This is a picture heavy post, not for those weak of bandwidth. 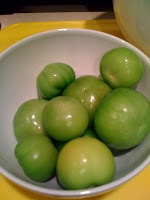 Okay, you might remember from a couple of months ago back I mentioned something about my tomatillo salsa being awesome, and I got called on it. Now I have to add a disclaimer to this post before I start to let you know that the only people who got to enjoy my hard work were myself and my mom...What can I say, it was a busy week at work! Anyhow, since challenged, I decided to make not one, but THREE salsas all in a couple of hours. Madness you say? 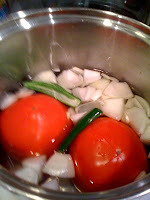 Salsa too time consuming, it's easier to open a jar? PAH! Nothing beats really great homemade salsa and it's super easy. Yes, I did exactly what you think I did. 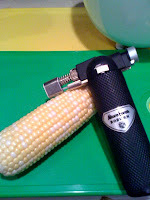 Creme Brulee torch to the corn. It worked, okay? 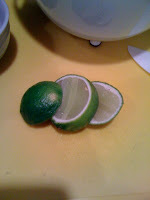 I learned that one from the side of a commercial use lime box. Amazing the things you can pick up from packaging. 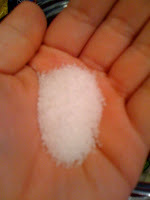 Anyhow, salt generously, stir and let sit. Personally I like this salsa the next day, or at least a couple of hours later since the lime gets a chance to take away some of the bitter finish of the tomatillos, but with a nice tortilla chip or say, cumin rubbed NY strip steak (heheh) it's light and refreshing. Next, the classic chip and dip salsa, the stuff you get at every Mexican restaurant, except better. Why? 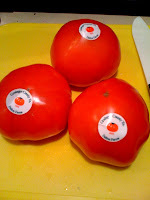 Because we're going to use fresh, local grown tomatoes! This salsa is even easier than the first because you don't have to cut anything the same. 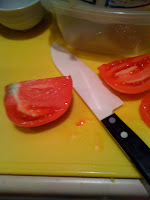 All you have to do is core the tomatoes, score the bottoms so you can peel them easier, rough cut a half a yellow onion, peel a couple cloves of garlic, and rough chop a Serrano pepper.. Okay, don't panic now. 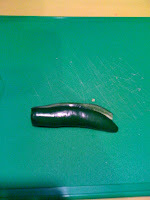 You don't have to use a Serrano. 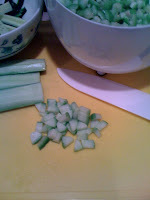 You can use a more mild jalapeno, or omit it all together. Just make sure you use fresh cause while I like pickled jalapenos on my nachos at the movies, they taste funky in fresh salsa. 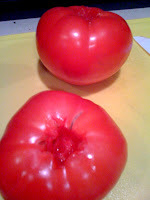 Fill a pot with enough water to cover everything and tablespoon of salt, but until it comes to a boil, don't add the tomatoes if they are nice and ripe. 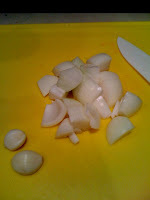 Once at a boil, add them, let cook for 3-4 minutes depending on the size then turn it off. 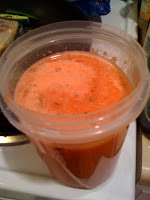 When the tomatoes are cool enough to handle, pull them out of the water and peel the skin off, quarter them, drain the rest of the water and throw everything into the blender. 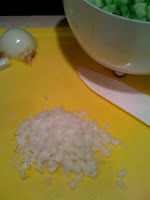 Puree until smooth and then I let mine cool before I add finely shredded cilantro and check the salt. Once it's cool, it might separate, again, DO NOT PANIC! 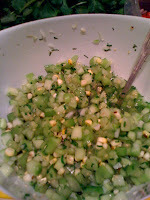 Just ladle off the thicker stuff at the top, and keep the clear "salsa water" for a great tequila mixer. Last, but most certainly not least, guacamole. 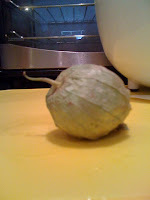 How, you might ask do you make guacamole ahead of time without it turning brown. Simple.. Make it without the avocados and then add those when you are ready! 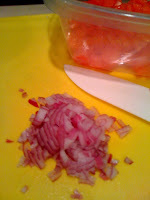 It starts with a simple pico de gallio base and some extra lime juice and salt. 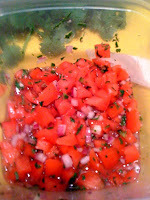 Tomatoes, seeded and diced, red onion minced, garlic, minced jalapeno, cilantro, salt and LOTS of lime juice. Now you can let this sit and meld together and then when party time comes, add your avocado by cutting them in half, removing the pit. 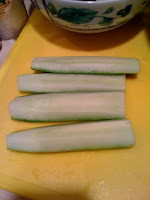 Using a butter knife, make lots of long, random cuts and then scoop that avocado out with a spoon. 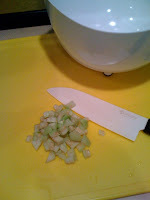 Cut the next avocado into larger chunks and mix it all together. As I write this, I realize that I forgot to take a picture of the finished guacamole! The middle picture at the top of this post is what the "base" should look like when it's done. Just remember, all that the word "salsa" mean in Spanish is "sauce". 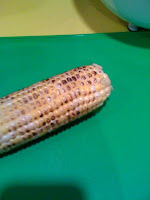 It isn't just for chips, it's great on grilled meat, sandwiches, eggs, fish. I used to sneak a mini crossant with a spoonfull of guacamole smeared on it (with some chopped, cooked bacon) as a pre dinner service snack when working in Phoenix so the sky is the limit!